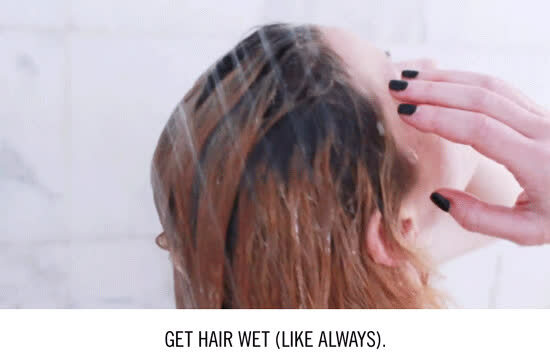 Maybe you’ve been on the co-washing bandwagon awhile, but you miss actually washing. 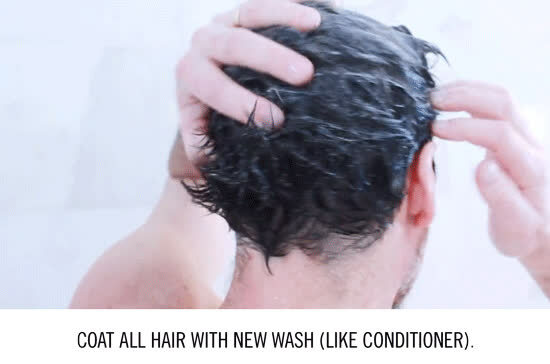 Or maybe you tried our original New Wash, but your hair just won’t thrive without some extra conditioning. In any case, what’s inside this box was made especially for those searching for the holy grail of thick, thirsty or damaged hair: A single, life-changing product that both gently cleanses and richly conditions. 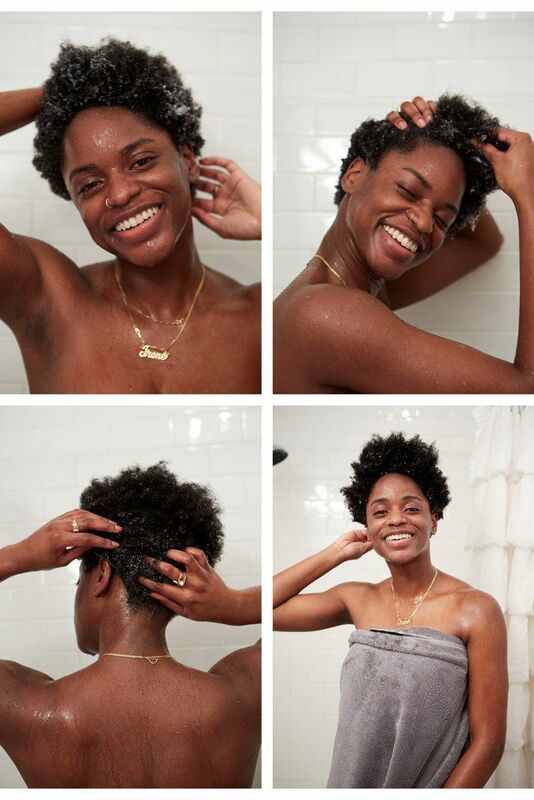 So break it open and break out some bubbly, because you’re finally able to break up with shampoo for good and turn your hair story into a lifelong love story. 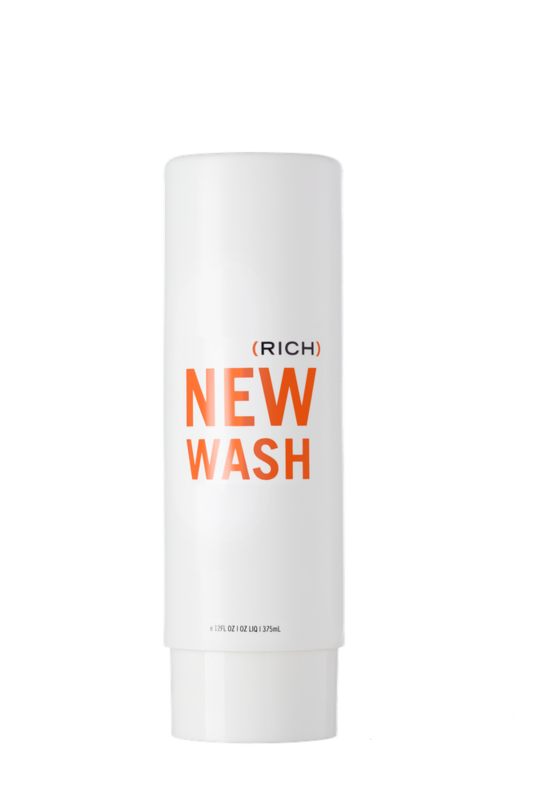 To feed that love, start out with the New Wash (Rich) Kit. Cleansing: Aloe Barbadensis Leaf Juice, Simmondsia Chinensis (Jojoba) Seed Oil, Oenothera Biennis (Evening Primrose) Oil, Helianthus Annuus (Sunflower) Seed Oil, Mentha Piperita (Peppermint) Oil. Conditioning: Stearamidopropyl Dimethylamine, Cetyl Alcohol, Glycerin, Stearyl Alcohol, Dicetyldimonium Chloride, Equisetum Hiemale Extract, Behentrimonium Methosulfate. Other: Keratin and Hydrolyzed Keratin, Rosa Centifolia Flower Water, Menthyl Lactate. Other Non-key: Gluconolactone, Panthenol, Sodium Benzoate, Lavandula Angustifolia (Lavender) Flower Extract, Isopropyl Alcohol, Citric Acid, Ceteareth-20, Trisodium HEDTA, Calcium Gluconate, Phenoxyethanol, Tocopherol, Cetearyl Alcohol. Fragrance: Cananga Odorata Flower Oil, Eugenia Caryophyllus (Clove) Leaf Oil, Aniba Rosaeodora (Rosewood) Wood Oil, Rosa Damascena Flower Oil, Myroxylon Pereirae (Balsam Peru) Oil, Santalum Album (Sandalwood) Oil, Jasminum Grandiflorum (Jasmine) Flower Extract, Geraniol, Linalool, Pogostemon Cablin Oil, Amyris Balsamifera Bark Oil, Prunus Amygdalus Dulcis (Sweet Almond) Oil.